Apple’s port ecosystem is confusing right now, with the MacBook Pro utilizing USB-C and the iPhone and iPad still featuring the company’s proprietary Lightning technology. Rumours, which also surfaced a few months ago, have appeared again, indicating that Apple plans to shift its iOS devices over to USB-C in 2019. The process will be incremental though, with the company sticking to its Lightning port for 2018 iPhones, but including an adapter that converts the charging cable to USB-C. This would allow customers to be able to take advantage of USB Type-C fast charging directly out of the box without needing to purchase any additional accessory. 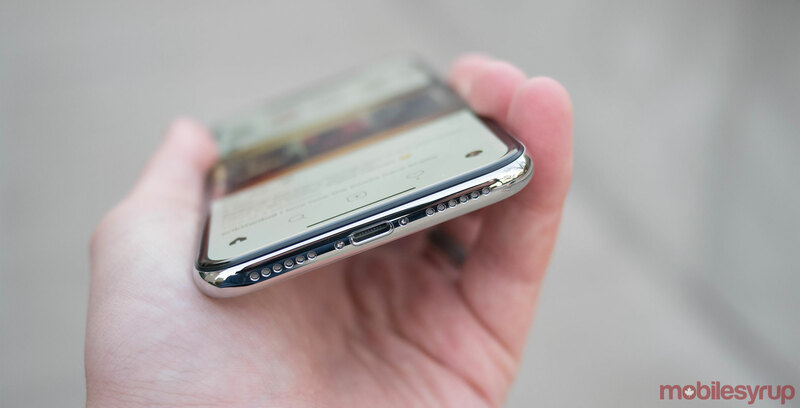 Then in 2019 Apple reportedly plans to make the full switch to USB-C across its iPhone line-up, according to a report from Digitimes. If there’s any truth to the rumour, this would be a huge shift for the Cupertino, California-based tech giant given how steadfast Apple’s commitment to Lightning has been over the last few years — even after the addition of wireless charging with the iPhone 8, iPhone 8 Plus and iPhone X. Back in 2007, the iPhone featured the iPod’s 30-pin dock, with Apple continuing to use the port until 2012’s iPhone 5 and the switch to the Lightning connector. At the time, this move was viewed as a controversial shift, as well as arguably the beginning of the #donglelife — though the 30-pin port quickly became a distant memory. It’s worth noting that DigiTimes’ reports, especially when it comes to Apple, aren’t always accurate. This means that the above rumours surrounding the iPhone finally jumping to USB-C, should definitely be taken with caution. Still, even the most committed Apple product users will admit the fact that the iPhone can’t be plugged directly into the latest versions of the MacBook feels strange, especially given how cohesive the company’s device ecosystem typically is. That said, USB-C is a mess right now, with various manufacturers adopting competing standards. With that in mind, it’s possible Apple’s powerful position in the industry could help bring more stability to the burgeoning, often confusing port format.